Like any other surf addict, a chance to travel, for whatever reason, usually sets off the same train of thought: Can I get a surf in? Can I get away from the order of business to seek out waves? Sometimes you luck out. Sometimes you don’t. Sometimes, though, something magical happens. Such was the case when I was able to capture an experience of a lifetime on my recent trip to Papua New Guinea. 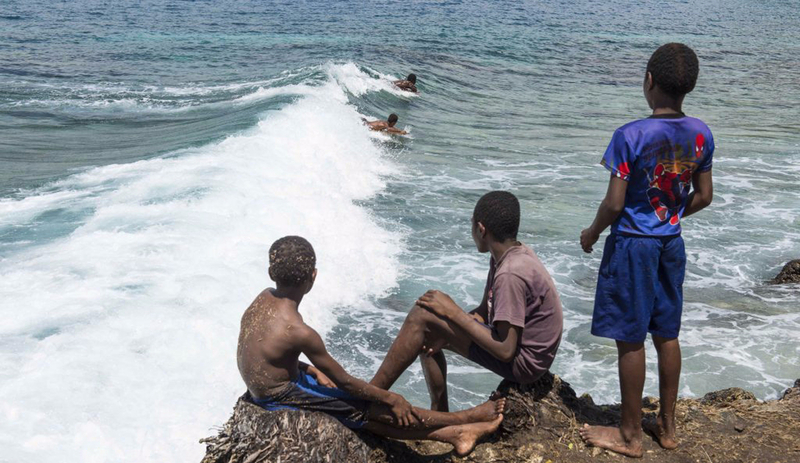 Papua New Guinea has thousands of miles of coastline just waiting to be explored. 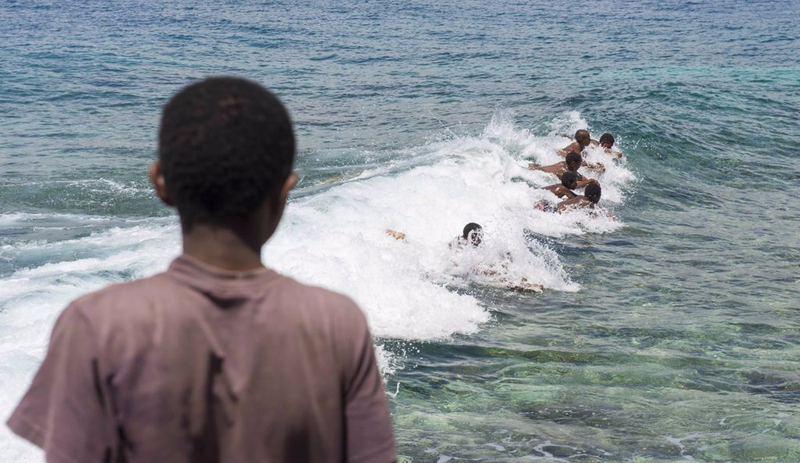 Despite its close proximity to Australia, PNG is a relatively new location on the surfing radar. 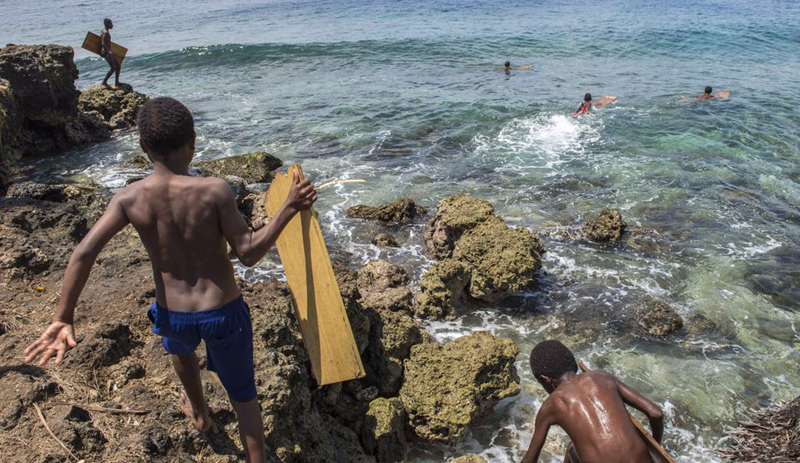 Riding waves on the island, however, has a long history. 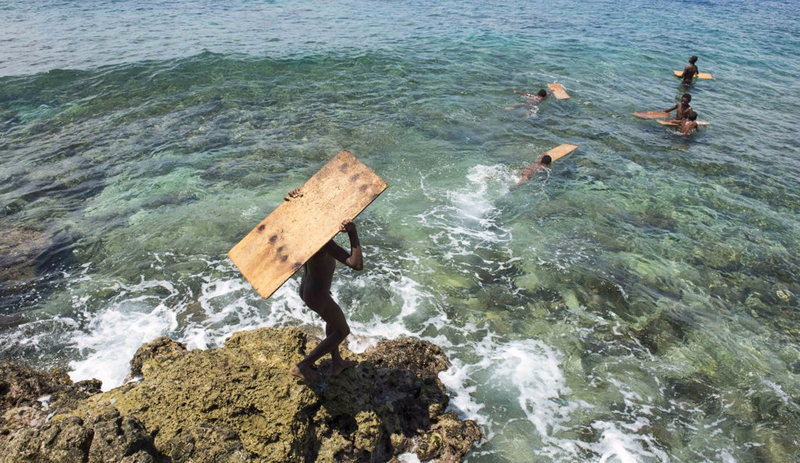 Villagers of the coastal communities have been belly surfing on makeshifts boards, known as “splinters” or “palangs,” for decades. 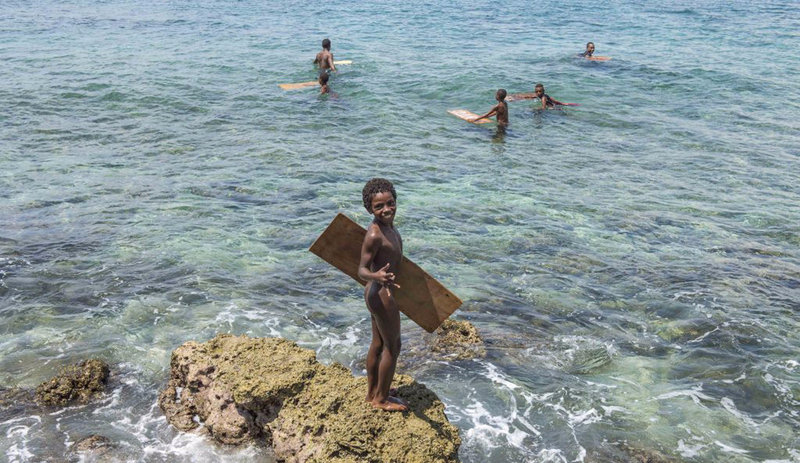 A trip to the north side of the island in dry season left me skunked, but a crew of local kids in the city of Madang handed me a piece of plywood and reminded me what the spirit of surfing is really about: Running barefooted over sharp coral and sharing laughs in one-foot waves with you friends with not a care in the world. See more of Magnus’ photography on his Instagram.